It is all well and good having really catchy principles or vision statements but the challenge is helping people understand what you mean – so what do we mean by Open by Default – Digital by Design. 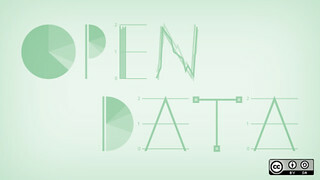 Open by default = Where possible we release the data we have so that any one who wishes to can use the data to create apps, link directly to their own websites or use in other ways they’d like. We also need to use this data ourselves to promote and encourage a greater level of transparency. Digital by Design = Without making this even more complicated – it is about re-imagining the relationship between technology, design products, immersive environments and human interaction to improve outcomes for people and communities – (very Plain English I know!!) – Or at a very basic level I often say that we shouldn’t be about websites any more, people access information and services through a variety of different devices and locations, so a website isn’t going to be the end result anymore…we should be about digital services at the core, supporting and enabling multiple access points and delivery. Digital by Design should also be applied at all levels of thinking and strategy including from planning how organisations are designed, to individual services and also you could also argue that you should consider this when planning communities, towns or cities. I’m hoping that as we continue sharing our thinking, these principles will start to come alive through the projects we work on, which in turn should help connect people to these principles in different ways. One project we are working on is doing exactly that. Last week I attended a really interesting meeting with our Highways colleagues, Sophie Dennis and Andy Robinson from #DigPenSW about how we could start to learn more about how our data needs to be released, what processes we need to think about and what opportunities do we have to work with others. http://storify.com/hackdayhack/weather-for-fun-hackathon”>Weather for fun hackathon at the Met Office in Exeter as a great way to get real first hand knowledge and experience of what is possible. It was also really good to have conversations with people outside the council who are keen to work with us in this area. We (colleagues in the council) have done a bit of work around open data and we are using linked data sets as well to display information but nothing in terms of people using our data proactively yet…but we are now pushing this forward. Linking this back to the Content Strategy and how we are working, it is all about how we consume our own api’s and data sets to create and present content and services to people as well as enabling others to consume our data to create things. Here is a pretty crude picture I used and continue to use when talking about the Content Strategy. In a future post we’ll talk about the technology we have started to use to help support this.